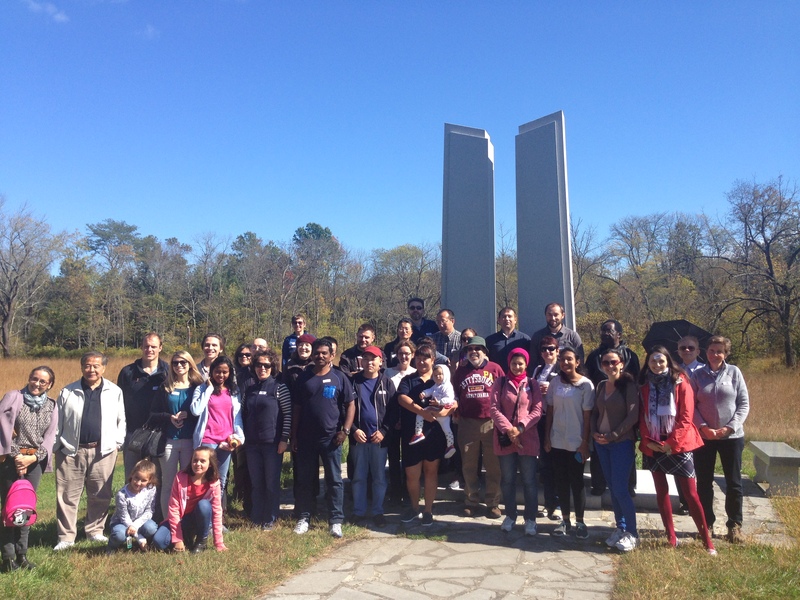 Fulbright scholars and their families took a road trip in October 100 miles north to Gettysburg, PA. This small town is infamous in American history. During the American Civil War in the 19th century, the Battle of Gettysburg, also known as the High Water Mark of the Rebellion, was the pivotal moment that led to Union victory. While Confederate General Robert E. Lee attempted his second invasion of the North, the bloodiest battle of this war was fought in Gettysburg. It also served as the inspiration for President Abraham Lincoln‘s famous Gettysburg Address. 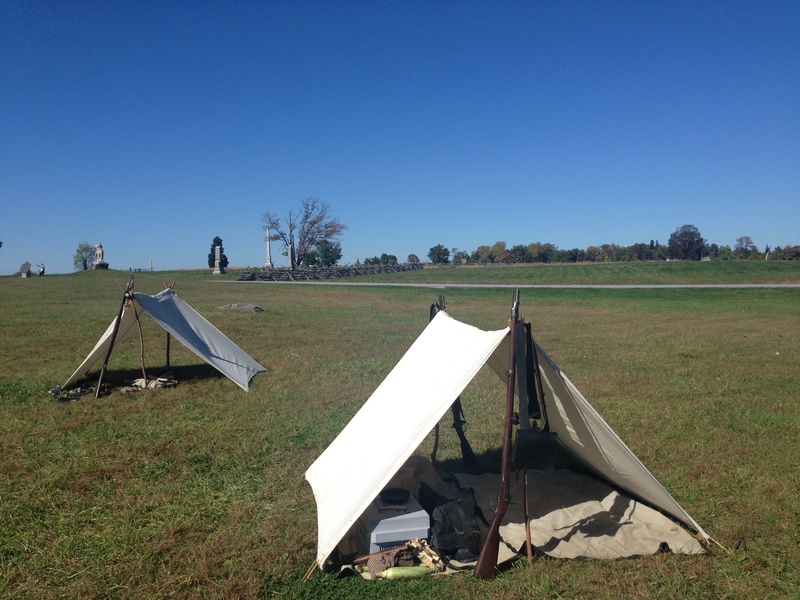 The scholars ate lunch at the visitors center and were given an educational tour from a Licensed Battlefield Guide. They retraced the steps of the battle and looked at monuments dedicated to the soldiers who fought at Gettysburg. After the battlefield tour, scholars and their families visited the Gettysburg Foundation museum. The artifacts held within the museum offer insight into the lives of important key figures of the Civil War, such as President Abraham Lincoln and Confederate President Jefferson Davis. 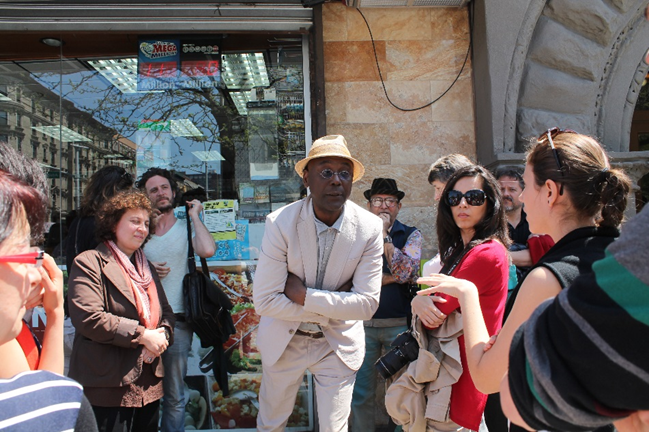 Who said Fulbright Scholars only engage in academia? 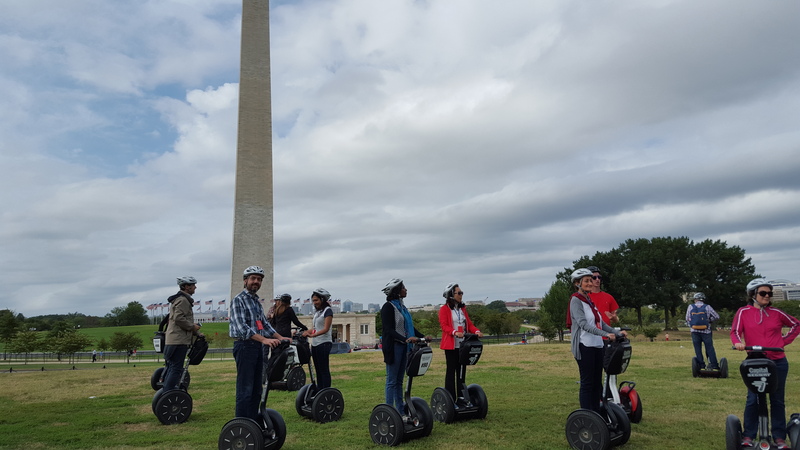 Our DC area Scholars were given the opportunity to experience the beautiful monuments in the city on a Segway tour. A Segway is a two-wheeled motorized personal vehicle consisting of a platform for the feet mounted above an axle and an upright post surmounted by handles (check out the pictures!). On their two-hour tour, they visited and learned about famous landmarks such as the White House, the US Capitol, the Smithsonian Museums, and other attractions located in the heart of our nation’s capital! Although Segways might seem difficult to command, our scholars found that they were surprisingly easy to drive after a quick practice lap. With a bit of encouragement, they soon were zipping through the historic streets of DC. It was a wonderful way to tour the city without tiring out too quickly. 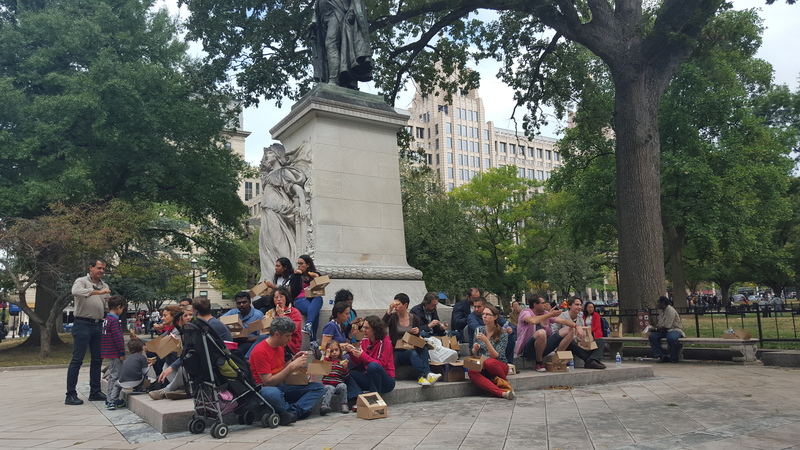 After the tour, the scholars munched on a delicious Italian lunch. 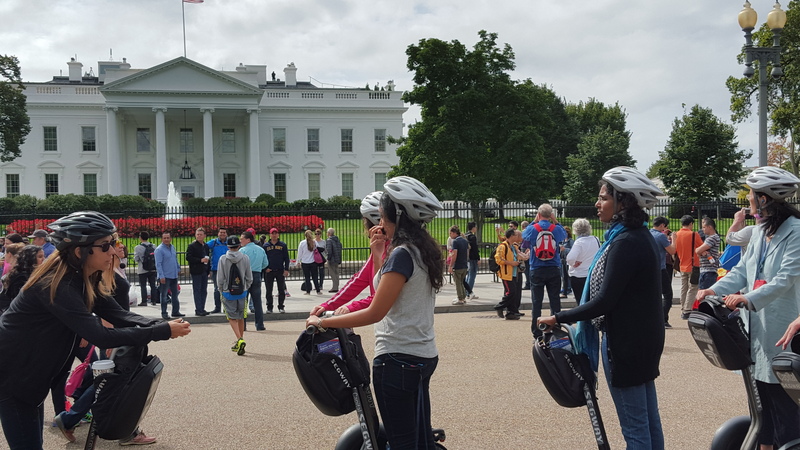 They were all thrilled with the Segway tour and DC’s monuments! What’s more American than a good game of baseball? 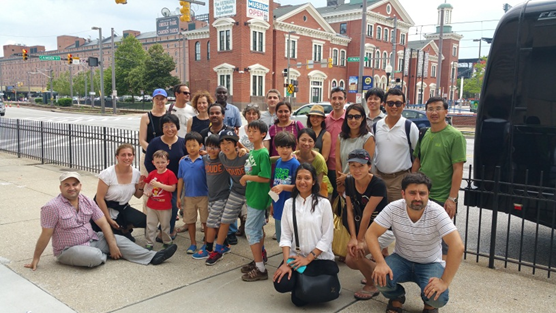 Fulbright Visiting Scholars and their families were able to experience this great American pastime in Baltimore. 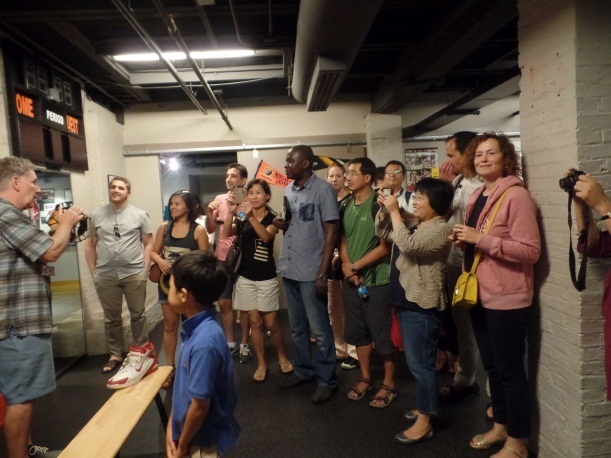 Before heading to Camden Yards, the home field of the Baltimore Orioles, Scholars and their guests were invited to a private tour of the Sports Legends Museum. Fun fact: the building used to serve as a passanger terminus for the country’s first commercial railroad before becoming a museum. At the museum the group learned about the complicated rules of baseball through a guided tour. Children of the Fulbrighters were even able to try on some baseball gear in the hands-on section of the museum. Then it was off to the field to see the Baltimore Orioles take on the New York Yankees! 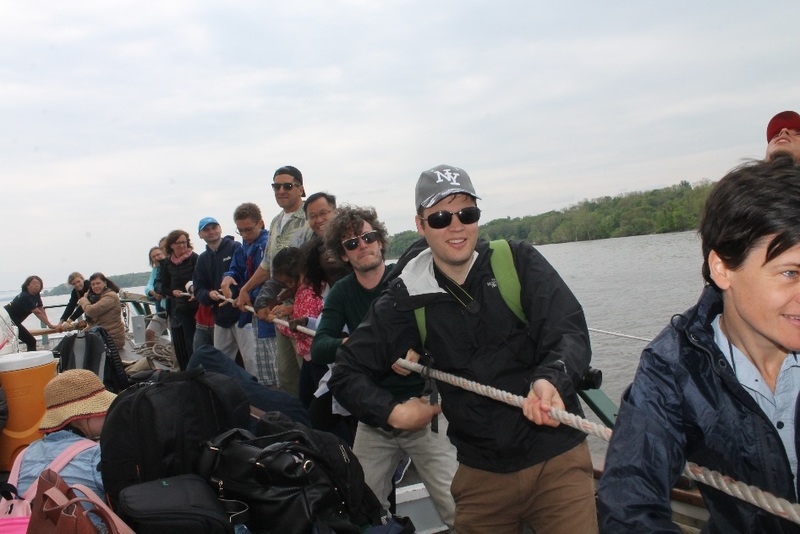 Fulbright Visiting Scholars in the Greater New York City area were fortunate enough to go on a sailing adventure on the Hudson, one of the rivers that surrounds the island of Manhattan that creeps through the state of New York. 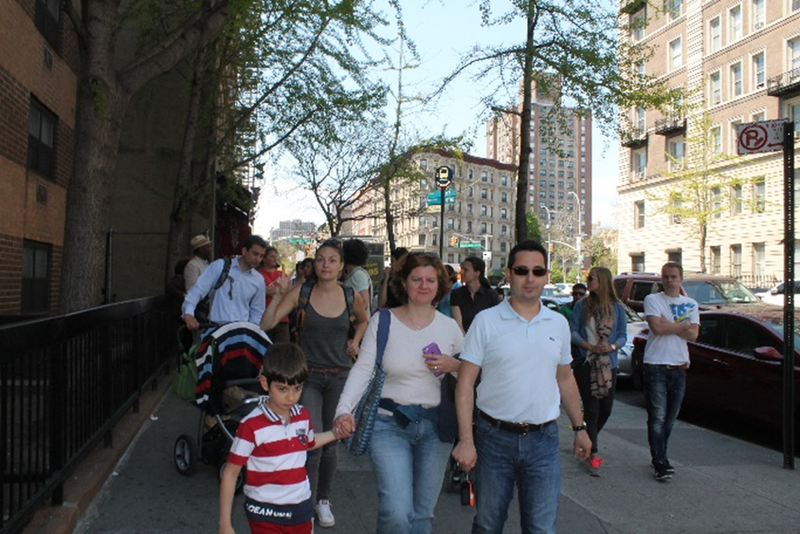 To begin the day on the water, scholars and their families were taken to the old capitol of New York, Kingston. This city was once a transportation hub for railways and ships. 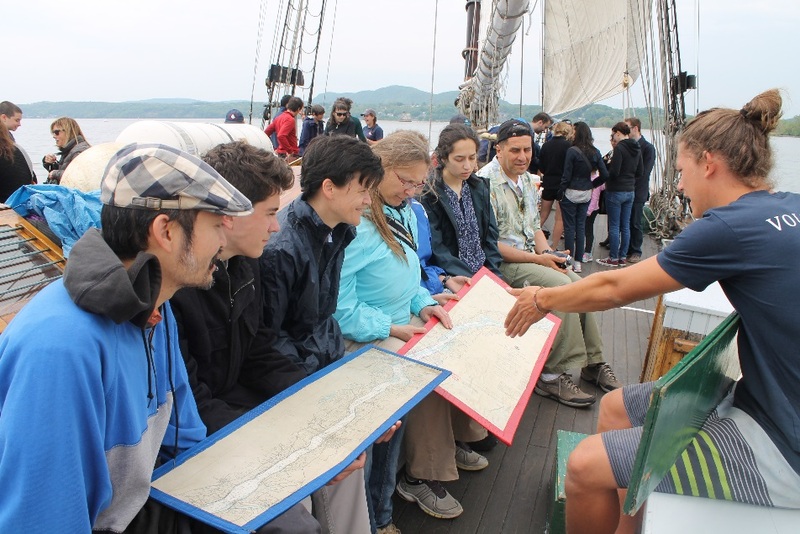 The group then had a three-hour long sailing experience with local non-profit, Clearwater, an organization that influences environmental policy and heightens awareness about ecological issues. 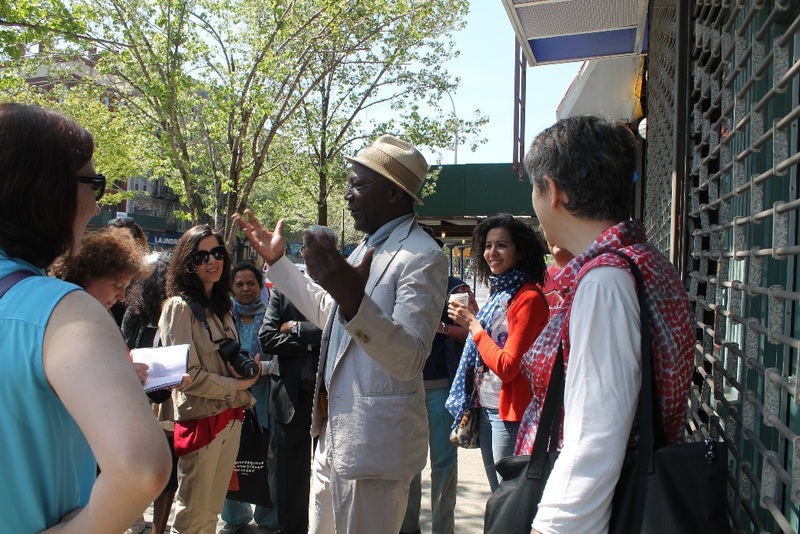 The Fulbright crew learned about the river’s relationship to New York City, its role in supporting local ecosystems, and the environmental issues it faces. They also had the chance to drop a fishing net into the water, man the sails, and navigate the Hudson. 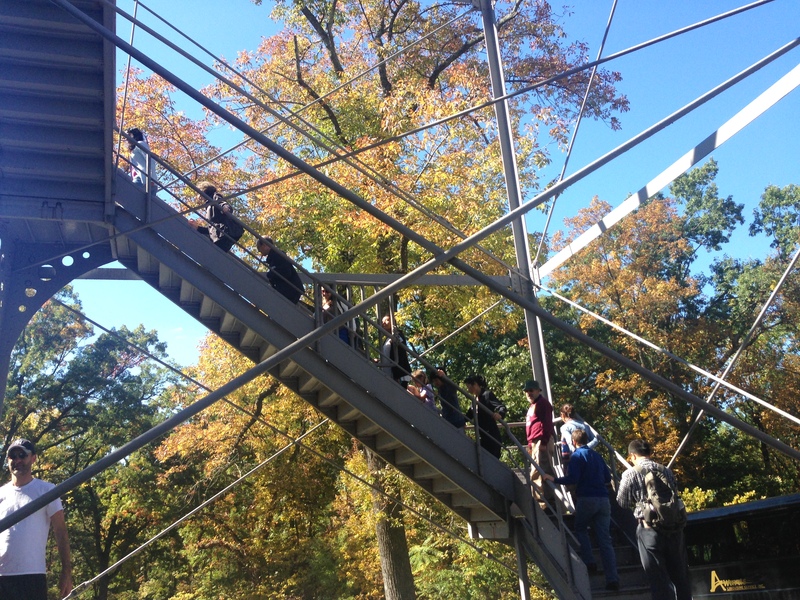 Beyond the beauty of the Hudson Valley, Fulbrighters also saw an American Eel! 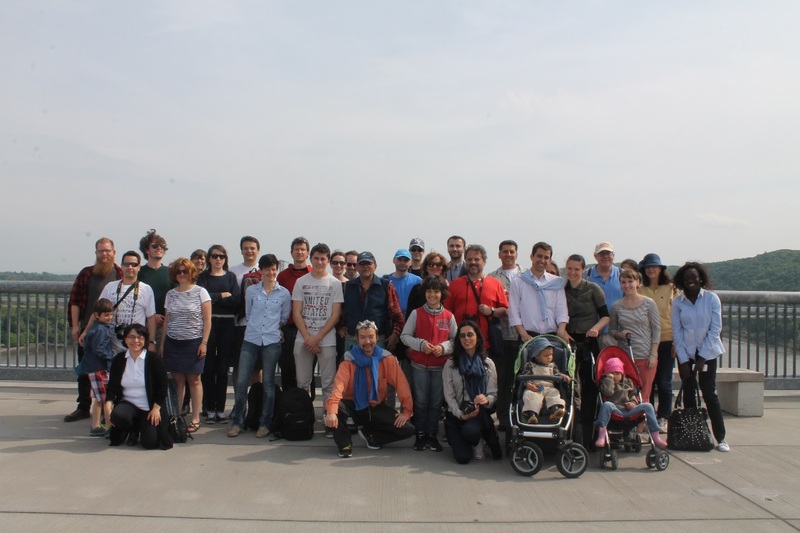 After getting back their land-legs, the group took a stroll on the longest pedestrian bridge in the world, known as the Walkway Over the Hudson. 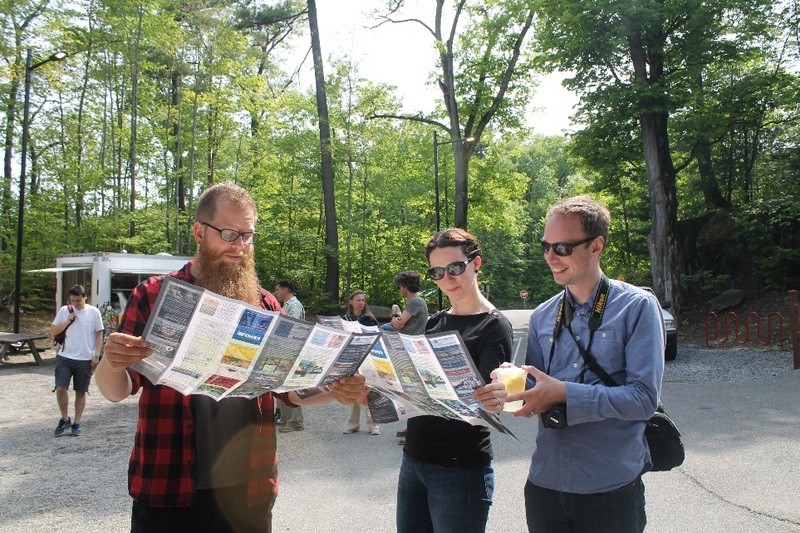 The participants were astounded at how beautiful their ecosystem was, especially considering that the big city was only a few miles away. With a landscape that gorgeous, who wouldn’t want to preserve its wonder?